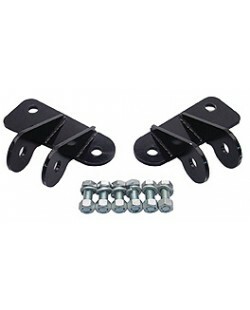 Designed for trucks with air bags, these brackets provide a sturdy anchor point for your front shocks. Brackets mount to the top of the frame. Right and Left brackets and hardware are included in the kit. Note: Requires longer shocks. 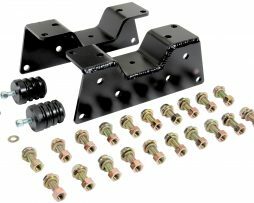 Give your truck 3″ of added rear suspension travel with one of our rear C-Notch kits. Completely bolts in. Hardware included. 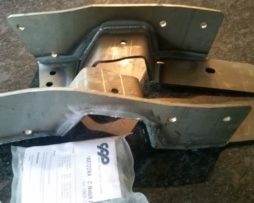 This is an easy, inexpensive way to lower your truck without affecting ride quality. Kits include aluminum blocks and new u-bolts. Kit comes with bare steel u-bolts and bare aluminum blocks. 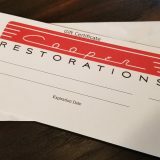 Choose from 1/2″, 1″, 1 1/2″, or 2″ drop. Please specify when ordering. Rear Trailing Arm. Side: Left. Comes complete with the bushing already installed. 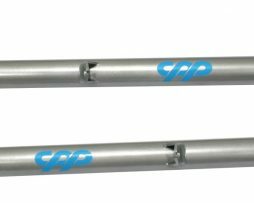 Replace your worn out trailing arms with CPP’s Totally Tubular arms. 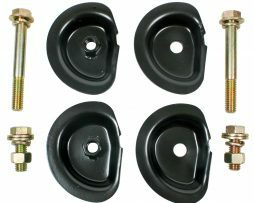 These are a stronger alternative to the factory arms, and come with their patented self lubricating bushings. Available in black or silver powdercoat. 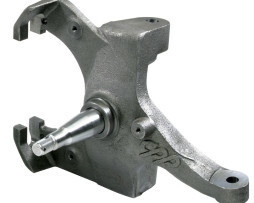 Make your truck disc brake compatible with a set of our disc brake spindles. 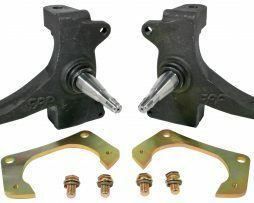 These are the same spindles sold in our OEM kits and upgrade kits. Cast from the highest quality Ductile Iron with 4130 Chrom-moly CNC machined pins. Accepts factory ball joints and tie rod ends. Designed to use 1971-87 1-1/4″ rotors, calipers and bearings. 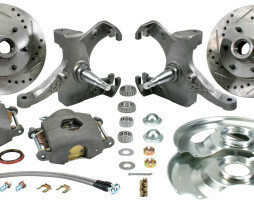 Drop spindle disc brake kits that bolt in place using stock suspension components. Each spindle has been designed to accept stock ball joints and tie rod ends, making the switch to disc brakes painless and easy. 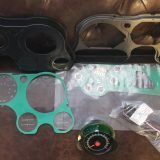 Kits include 2-1/2″ drop spindles, rotors, calipers, bearings, seals, spindle nuts, dust caps, banjo bolts, and brake hoses. May not work with factory drum brake wheels. Note: Factory 6 lug applications had 7/16″ dia. studs and 5 on 5 lug kits have 1/2″ dia. studs. 8 lug kits have a 9/16″ dia. studs. Please specify brake line size. One piece forged nodular iron design with pressed in alloy steel axle pin, installs with no modifications, lowers your vehicle 2 1/2″. This is accomplished without moving the wheels out. When using the bracket kits, they work with rotors and calipers that you can purchase at your local parts store. They also work with CPP big brakes and many manufacturers brake kits in a host of many brake sizes. Ideal for todays larger wheels. Note: Bracket required when using stock 12″ brake components. Puts wheels at stock drum offset. 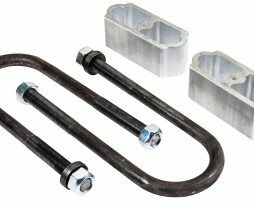 Give your truck 3″ of added rear suspension travel with one of our C-notch kits. This kit bolts in. Note: C-notch is required on 1963-72 truck lowering 4+”. 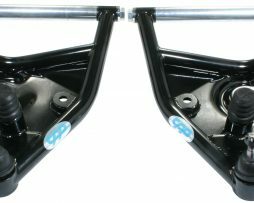 CPP tubular lower control arms, welded for maximum strength and visual impact. Lower control arms have a helical stamped coil spring mount, just like they did from the factory, which secures the coil spring into the lower control arm. The coil mount has been improved to make installation even easier. All arms that contain cross shafts are preassembled with cross shafts and pivot sleeves. Allows full control and virtually no flex on the control arm when cornering.